What makes ePEN 3 so special? Powerful system and 650mAh battery for a rich vapour and intense taste. Switch flavor and nicotine levels almost instantly. Simply click-in the pod and vape away. Six elegant soft-touch colours in a compact pocket fit design. 95% less Toxicants and 0% tar without compromising on flavour or satisfaction. 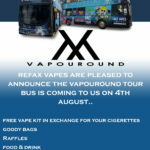 Vapouround Tour Bus is coming to us…..
We are pleased to announce the Vapouround tour bus is coming to us on the 4th August. 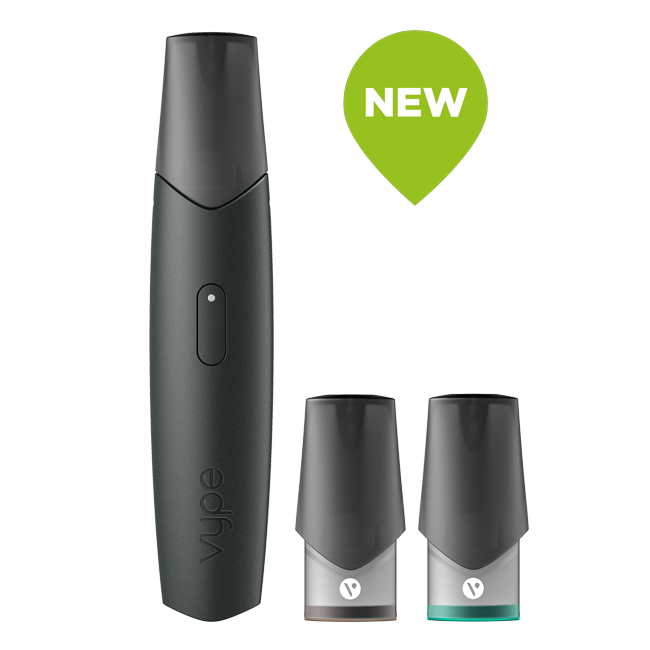 If you are looking to quit smoking, you can exchange your ciggarettes for a FREE vape kit to get you started! And if you’re already a vaper, there will be plenty of juice testers to choose from, plus goody bags, raffles, food , drink and games. So save the date…. We now have a range of CBD E-liquids available with 200mg organic cannabidiol. CBD, or Cannabidiol, is one of many active ingredients found in cannabis. Unlike Tetrahydrocannabinol (or THC), it is non-psychoactive and will not get you high. Both are the most abundant compounds found in marijuana, with CBD accounting for up to forty per cent of the plant’s extract. These cannabinoids interact with cell receptors located in the brain to suppress the release of neurotransmitters. Our brain naturally produces its own cannabinoids known as endocannabinoids. In the same way, CBD is the chemical compound secreted by the weed plant and is called “phytocannabinoid”, as opposed to synthetic cannabinoids. CBD hemp oil is legally approved in the United States. It is a Cannabidiol concentrate manufactured in liquid form for inhaling through an e-cigarette, vape pen or vaporizer. 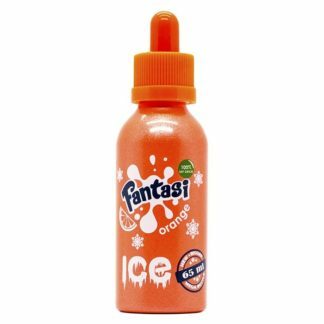 With the use of e-cigarettes on the rise, this plant-based extract, which vaporizes at around 200 degrees Celsius (392 degrees Fahrenheit) will be a welcome choice for those who enjoy vaping. This is one way to provide your body with the benefits of CBD. Since our CBD is made from all-natural hemp plants, it does not contain any THC and won’t get you a high. CBD is known to have many potential medical benefits. Due to its lack of psychotic effects, it presents a broader scope for medical use than its THC counterpart and is much preferred. In recognising the medicinal properties of CBD, weed strains with a higher concentration of this cannabinoid are now being extensively grown. CBD is antipsychotic and works to counter the psychoactive effects of THC which creates a high. This is particularly useful as a safe alternative treatment for patients with schizophrenia. The compound reacts with the NMDA receptors in the brain, stabilizing the pathways to mitigate the symptoms of the disorder. In fact, it is shown that CBD has neuroprotective and therapeutic effects that help reduce anxiety and depression. As studies have shown, cannabis strains with a higher level of CBD do not affect short-term memory unlike strains with the same level of THC but lower amounts of CBD. Compared to other antipsychotic drugs, CBD has far fewer side effects. Other research into CBD has also pointed to its analgesic potential and use as a treatment for a range of conditions, such as chronic pain, arthritis, epilepsy, diabetes, addiction, multiple sclerosis, post-traumatic stress disorder (PTSD), neurological disorders and even breast cancer. As more discoveries are being made about CBD, which is known to contain anti-convulsive, anti-spasmodic and anti-tumoral properties, the list of benefits will continue to get longer. Inflammatory diseases may be added to the list, so can respiratory disorders and even heart, liver, kidney and eye diseases. This cannabis extract can also counter mood disorders, obsessive-compulsive disorder (OCD), anorexia, obesity and migraines. The CBD oil used for vaporizing is manufactured from industrial hemp, a variety of cannabis with lower concentrations of THC than that of marijuana. As a vaporizing oil for use in e-cigarettes, it offers a healthy alternative to smokers who wish to quit nicotine. This hemp oil, specifically made for e-cigarettes, is nicotine-free and will not induce a high. 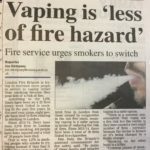 In fact, studies have shown that it can help overcome nicotine addiction by as much as 40 per cent besides providing other medicinal benefits. Its therapeutic effects allow smokers to feel relaxed while continuing to smoke, this time without any harmful chemicals. CBD has been around in the form of oils and capsules for a long time. 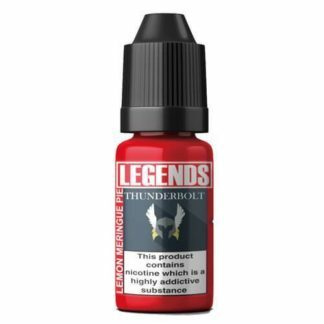 Now, as an oil used with a vaporizable liquid to produce an effect similar to smoking, it is available in a range of delicious flavours to cater to the growing e-cigarette market. 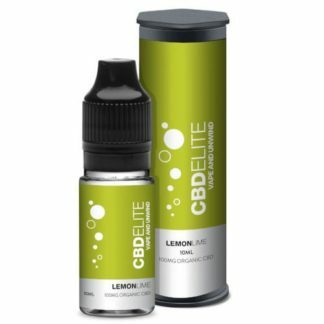 They come in various sized bottles and may contain different levels of CBD concentrations. Unlike cigarettes, vaping on CBD oil is smoke-free so it can be enjoyed in any social setting. Industrial hemp and marijuana, although from the same species cannibis sativa, have major differences which set them apart. Industrial hemp is a variety that has a much lower level of THC, one-tenth that of the psychoactive marijuana that is used for inducing a high. Furthermore, it contains larger amounts of Cannabidiol (CBD), a chemical that effectively counteracts the psychoactive effects of THC. Unfortunately, since the 1950s, the two varieties have been placed into the same marijuana category, adversely affecting the social status of Hemp. Hemp is a versatile plant with a long history of use, including as a source of industrial fibre and hempseed oil. Unlike marijuana, It is not cultivated for its buds where most THC, the psychoactive compound, is formed. This is the reason for its low THC content. Rather, since is has a much stronger fibre compared to the marijuana variety, it is mainly cultivated for its industrial use, with its fibres refined to produce items such as ropes, blankets and paper. CBD is known to reduce anxiety, which is why it is becoming popular among recreational smokers. 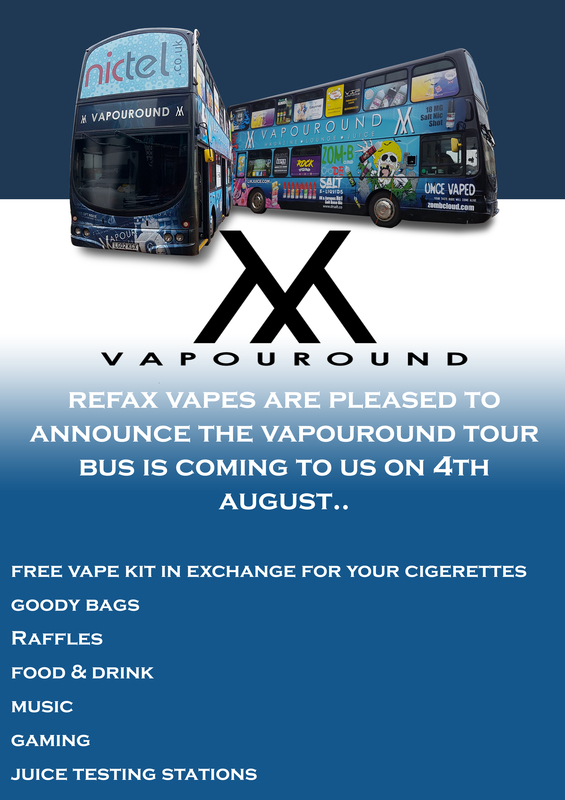 Welcome to Refax Vapes. 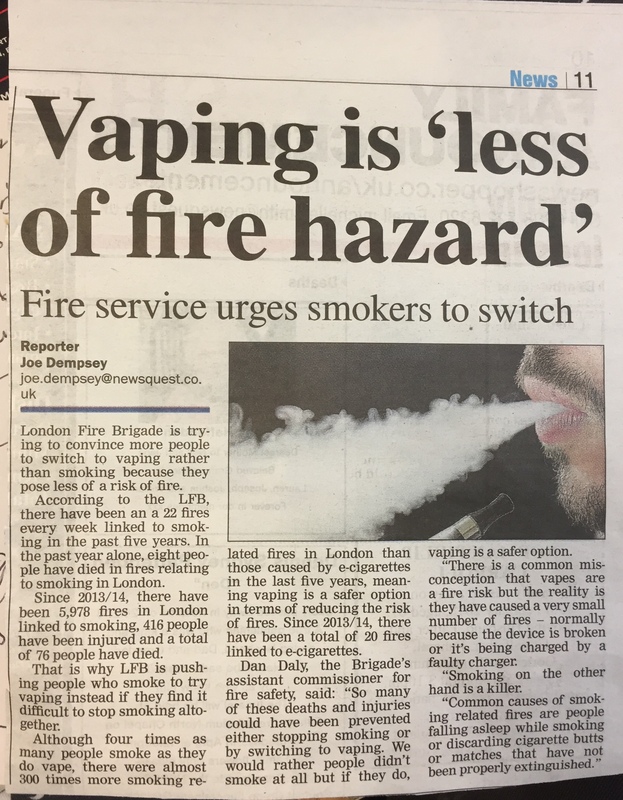 You’re in the right place if you want to give up smoking and start vaping!